When time is money and mass production is the norm, there's a real pleasure in finding artisans and craftspeople who work to a different rhythm. 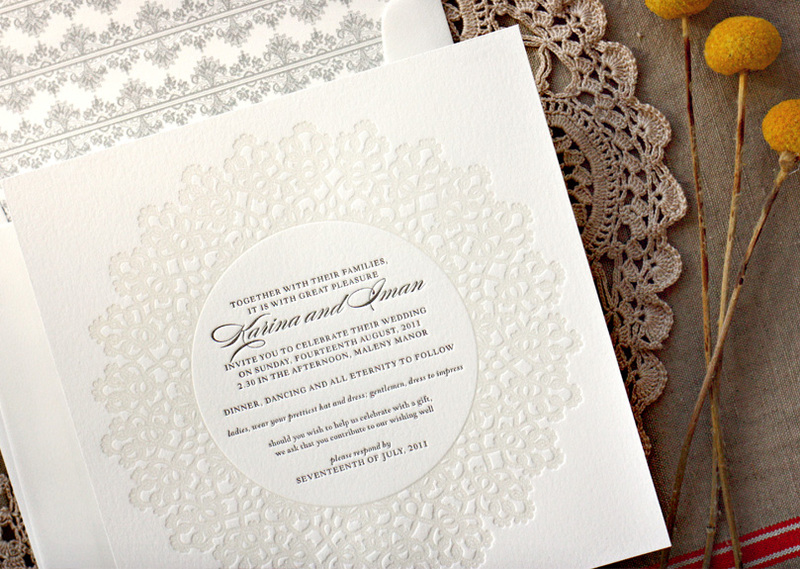 I am completely in love with the invitations made by Bespoke Letterpress (who are based in Sydney but work with Adelaide clients). Anything that takes four+ months to make is going to be special, have a look at some of their truly beautiful examples of their work. 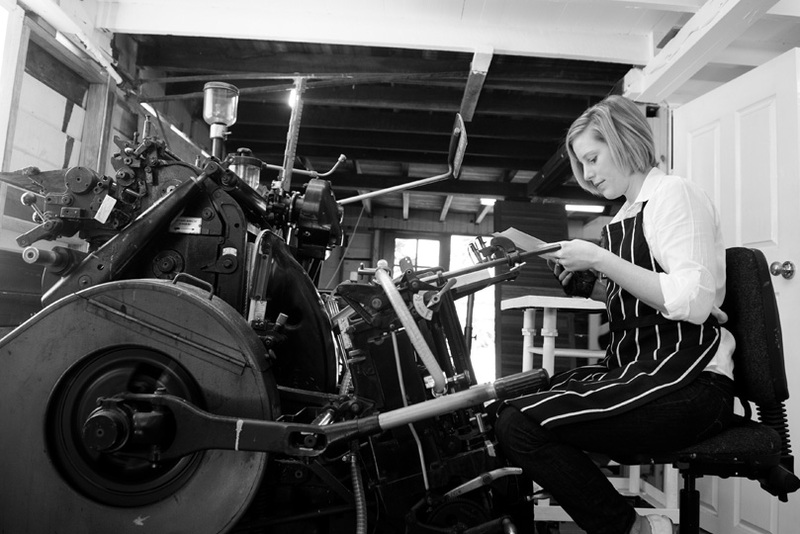 I spoke to Alischa Herrmann, the Director of Bespoke Letterpress about their product. 1. How long does the process take from beginning of design to end of production? Due to the nature of letterpress, as well as our extensive custom design process, the entire production schedule from the commencement of design, through to the delivery of beautiful stationery suites usually takes about 4 months to complete. Due to this extensive nature of letterpress, as well as the busy demand for our work - we are often booked 4-6 months in advance we always recommend that our wedding clients book in early to ensure a position within our studio schedule. 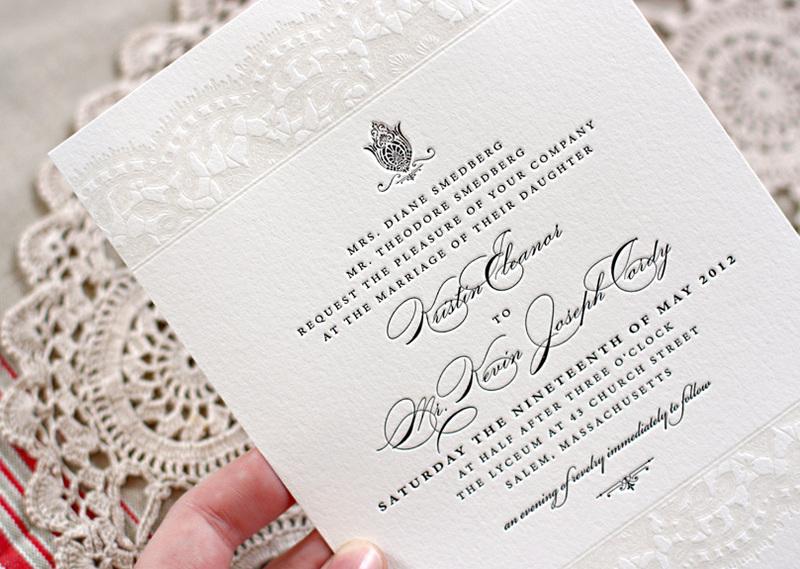 100% - we design each and every invitation suite which often starts as a hand sketch, illustration or hand lettering. This design is the replicated on screen into the correct format for letterpress. Once we reach the design stage, each and every print is hand fed into the press and printed one sheet and one lovely colour at a time! All our post production work is then done by hand - so the whole process is very tactile and made with a lot of love! 3. You do beautiful invites but do you do other work ie high end business cards or letterhead etc?. Does anyone still do 'At home' cards? Yes, we sure do! When our busy schedule allows we do work with clients who are after other personalised stationery items as well such as business cards and note cards. Small letterpress runs can be quite expensive though, so we work hard to also have a good range of "ready" stationery which we sell in our online shop and retail stores to allow the everyday person to still inject some lovely letterpress into their lives! We have had the joy of creating lovely letterpress stationery for the last six years, but before this time we were also designing and working hard towards the launch of Bespoke Letterpress - it takes a long time and a lot of patience, blood, sweat and tears to learn the craftsmanship that is letterpress! 5. Where are your papers from? Australia? Overseas? We only print on the finest papers best suited to letterpress which are 100% cotton tree free papers. Unfortunately there are no manufactures of 100% cotton paper here in Australia, so we import all of our paper stocks via the US. These papers are environmentally friendly and are made from reclaimed fibres from the textile industry. 6. Where are you clients mostly from? We do work with couples from right around Australia, and over the seas as well! 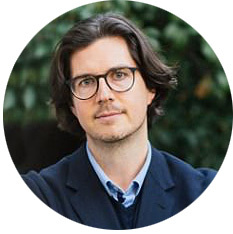 We have had clients from as far away as the US, UK, Switzerland and a little closer to home in Asia and the Middle East, as well as from all pockets of Australia. Due to this nature of our business we have an extensive system in place to ensure that although in most cases we are unable to meet with our clients, we are still able to give them the most personalised and professional working process to ensure that we can still design and print beautifully to suit their wedding day.